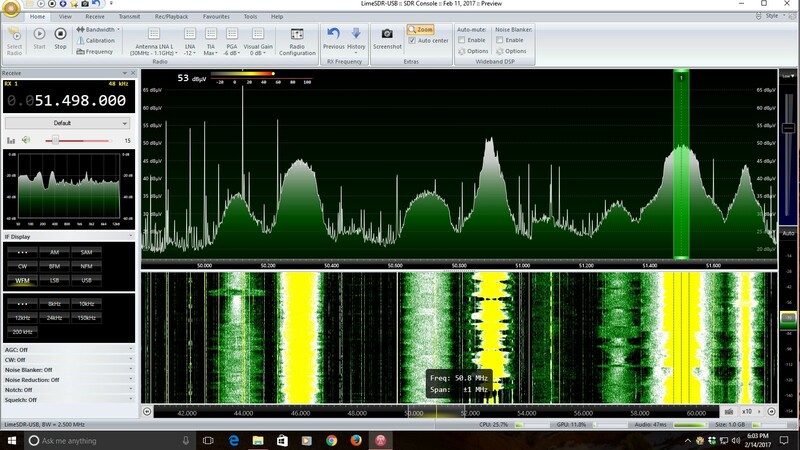 I am wondering it anyone has done any tests as to how the Lime performs and what the best settings seem to be for 6m and above using SDR Console? I ordered my Lime mainly to try on 2m EME to replace the Funcube Pro+ (my benchmark) on the tower. Obviously for weak signal on VHF the FCD+ takes a lot of beating so I am just wondering if anyone has got round to testing the Lime yet? My top 2 uses for the Lime will be 2m and 1296. The rest will just be a bonus. As requested, here are the screenshots from my station earlier this evening around 6:15 PM on the 6m band in segments (50 - 52 MHz and 52 - 54 MHz). 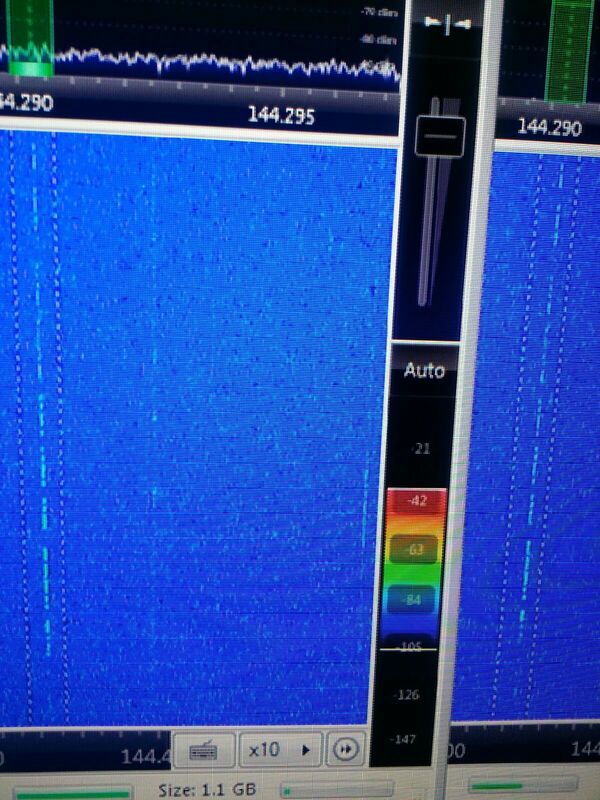 I think there’s a fair amount of harmonics here - some of the HF band is being seen (and heard) inband. Frankly, with the right antennas and playing with the gain adjustments (and perhaps having a highpass filter that has a knee at 40 MHz would be the ticket. Again, without the right 6m antenna, time to play with gains to make it right, and some app/firmware fixes that are still being worked, the data I have here - frankly - is a little subjective. 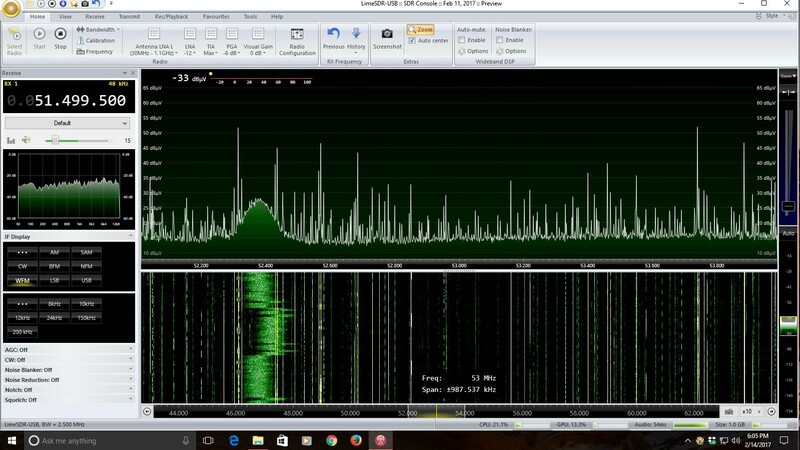 But it’s what my LimeSDR V1.4 is ‘hearing’ in the 6m band. It’s my intention to have preselection added to the front end since the Lime tends to be a broadband performer in receive. Preselection would DEFINITELY root out a lot of what we’re seeing along with adjusting the gain(s) properly to eliminate the possibility of IMD. Not sure this will help you, but as they say ‘downtown’: “…there it is…”. @martywittrock Thank you Marty. That tells me quite a lot. On all bands I intend to use a band pass filter and am very happy to do so. I would not want any filters built into the Lime. It is a RX the filters are my responsibility in the same way as the SSPA is on the TX side. 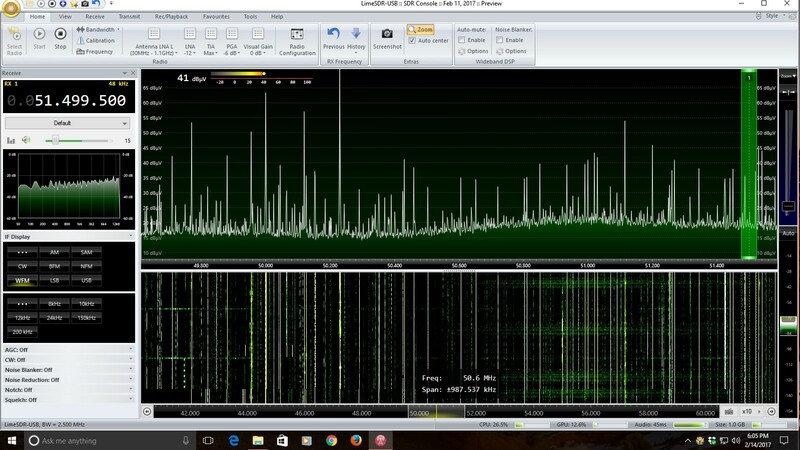 For most Ham’s, whether they know it or not, 6m is pretty unusable without external band pass filters anyway. On 6m I run 3 6ft cavities of which I choose the one for the part of the band I am operating. 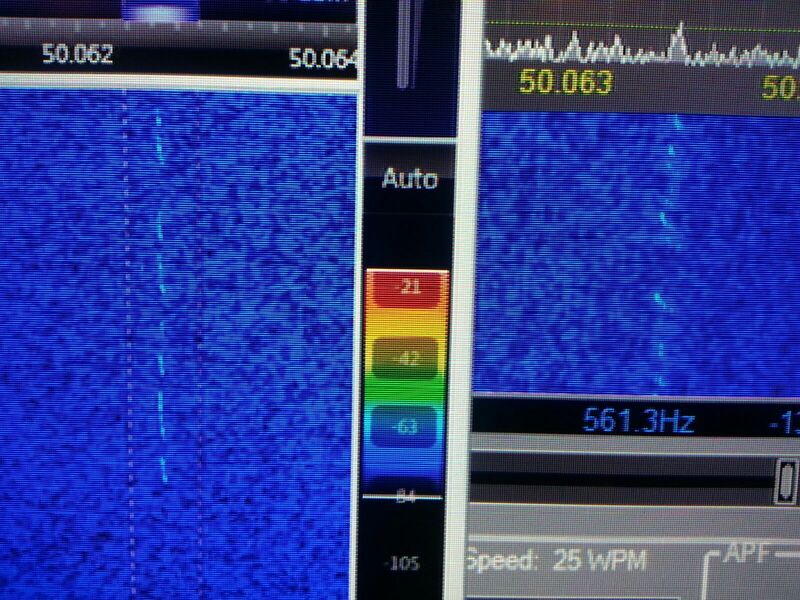 SSB, EME or DIGI. Once I have the Lime running I will take some screenshots of 6m both without and with the filters in line. TNX I now know the starting point. SDR’s really need band pass filters to give you their best, otherwise they are just pulling in the full 65MHz of noise, crashes and other EMI raising the noise floor and making moderate hash of low level signals. That at least is my experience with HPSDR and RTL-SDR. 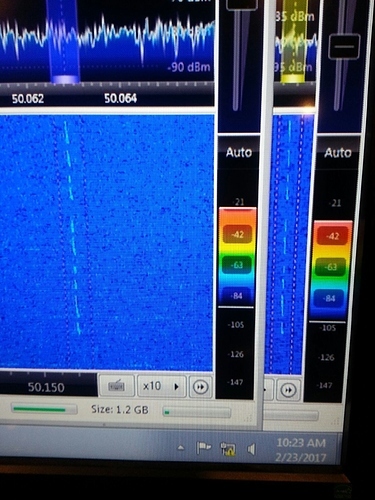 This a screen shot of a local 2m beacon at 123 miles from me. 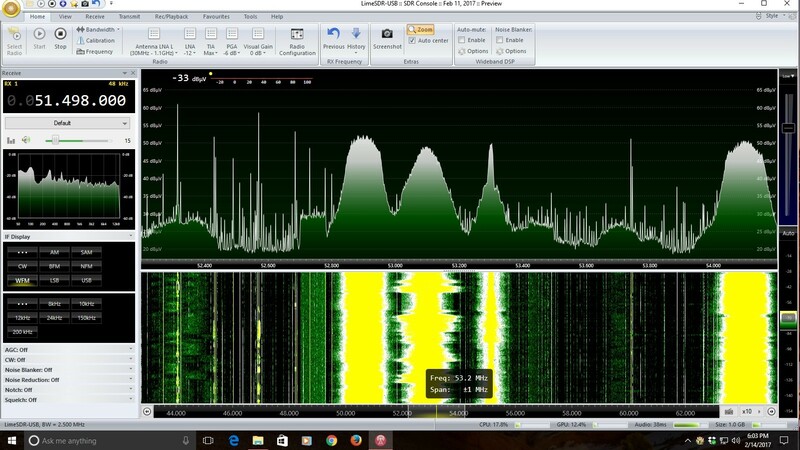 I have tried to set the display on SRC Console to be as close to identical as possible and they were received on the same computer running two instances of SDR Console. The left hand side is the Lime the right hand side is the FCD+. I use a FCD+ as my test RX as IMO it is a very good weak signal RX on 2m. the only better RX I have is my Kuhne but I could not easily set that up for a side by side. Lime settings are built in LNA MAX External ARR LNA. FCD+ built in LNA 0 and no External LNA. This is not a lab test but just a real world test. I think I managed to get them pretty close on settings by eye. Anecdotal comment. The lime in this picture is about as good as I remember when comparing a TS2K to the FCD+. If I recall correctly I had to have and internal Pre amp and the same external LNA in inline for the TS2K to be equal to the FCD+ on the SDR Console waterfall. Again that is from memory and not a lab test. My view is based on what I think the average Ham will hear (or see) when connecting a radio up. 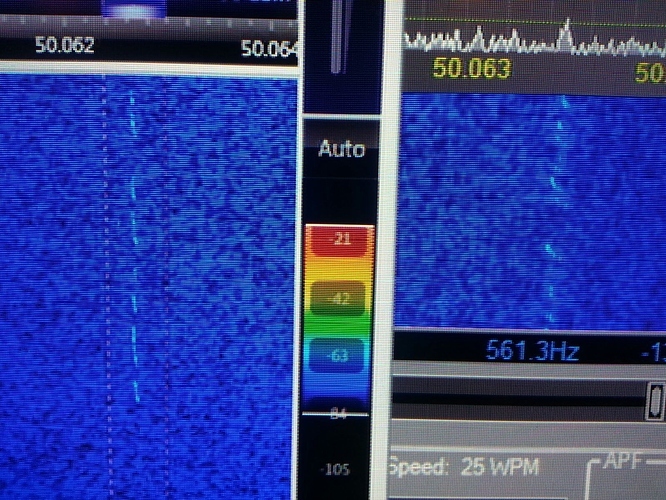 I will leave the lab reports to those who can perform them better than I.
I’ve already commented on another post over on the LimeSDR side of the forum, but thanks VERY MUCH for posting these results. You’ll have reduced the noise on the forum by 20 - 30dB because of it…! Lime on the Left, FCD+ on the right. As previously on the 2m test I am running a BPF (6 pole Larcan ?). I have an external LNA on the Lime but not on the FCD+. These are just observations not lab tests. I know how to speak to women so not capable of carrying out real Lab tests. 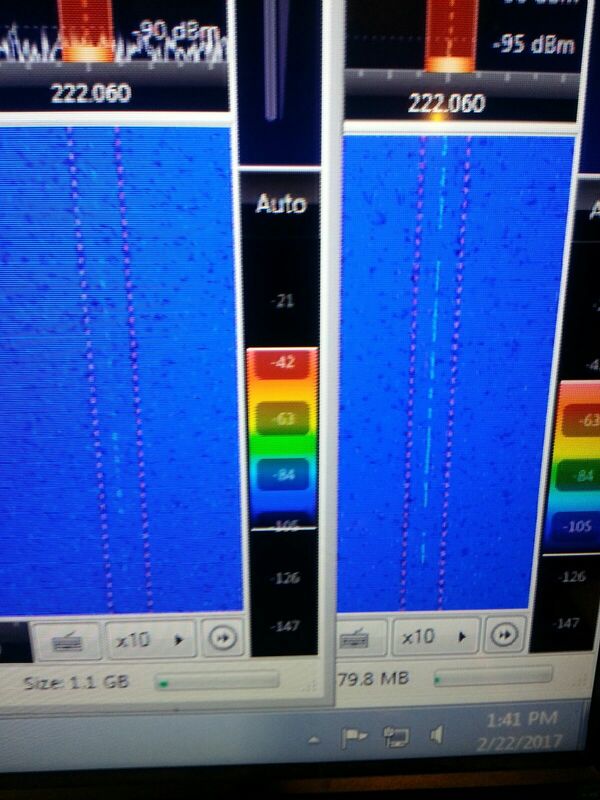 They will though give you an idea of how the Lime looks in comparison to, IMO, a very good 222 weak signal RX. My previous posts were intended to show that the Lime can be as good as an FCD+ on VHF but that it requires an external LNA in order to do so. BPF’s are taken for granted. They were to help alleviate peoples fears. This shows the Lime on the Left and the FCD+ on the right on 222MHz but without an external LNA in front of the Lime. I guess what one would call the starting point. I feel that once there is a suitable TX software available then the Lime will make a good building block for a VHF/uW SDR Rig. Something the market has been missing. Lime on the Left FCD+ on the Right. Ant 4x5 ele M2 6ft Can for the BPF. The tick is the beacon not the RX. This one was a little harder to compare as I am using 2 different RX software with 2 different waterfall speeds. Lime on the Left Anan 10e on the Right. 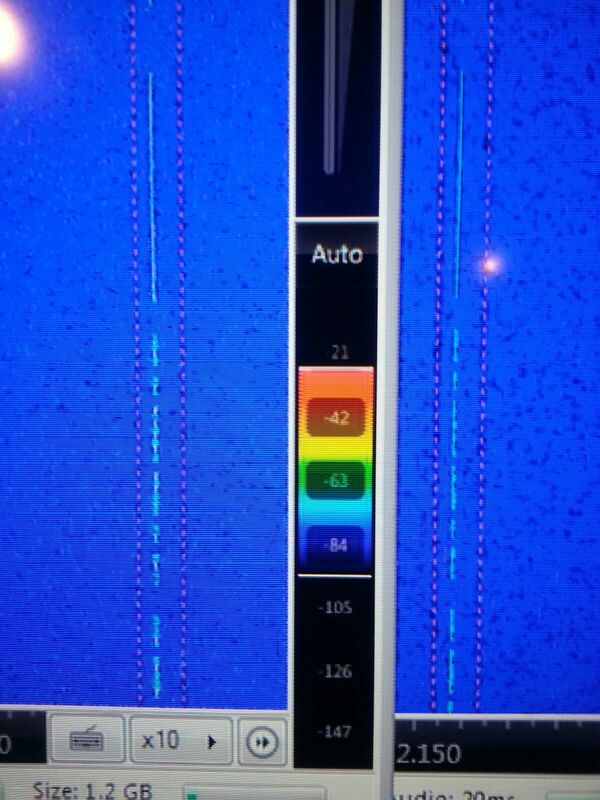 Same antenna split to both RX at the same time. External LNA on Lime. No external LNA on Anan 10e.